23 year-old alleged Westminster, CO road rage shooter was on antidepressant and antipsychotic medication. This horrific testimony came during an emotional preliminary hearing on Friday for 23-year-old Jeremy Webster, charged with first-degree murder and 18 other counts in a June road-rage incident in which he allegedly shot four people, killing one. FDA approves new opioid painkiller Dsuvia 1,000 times more powerful than morphine, b/c AcelRx paid them millions. More people will overdose and die. Critics of the new drug call it "dangerous" and say it "will kill people." 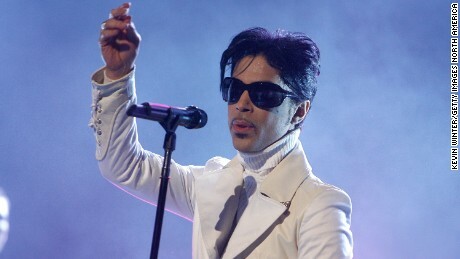 Toxicology tests concluded Prince died from an accidental overdose of the opioid fentanyl, according to a report on his death by the Midwest Medical Examiner's Office. as usual a drug "legally" prescribed by a doctor to someone has another person. Of course the person who died needs to take responsibility for what the drug can do to them, but to often the drug prescriber is not concerned with negative consequences with drug usage. prayers go out for you Lisa, good to hear your fighting the good fight for your son. if enough people call the governor he can release prisoners like they did for justina pelletier, it took a break of national news and other big main stream media to help in that case, very hard to do now. Of course it shouldnt be that hard , because for the state to hold child from a parent when there is no danger is unconstitutional, the courts are operating not as they were designed. Theres a man in colorado that may be able to help by doing a Habeas corpus , to get your son freed from prison, ,,, his contact name is Bruce Doucette, he goes by judge bruce doucette but I dont know if he is really a judge, his phone is 303) 435-4902.....let me know if can do anything for you. “You are not going to find 60 pills in her stomach,” Chyna's manager told the LA Times about her death. What a waste, I was so sorry to hear this.